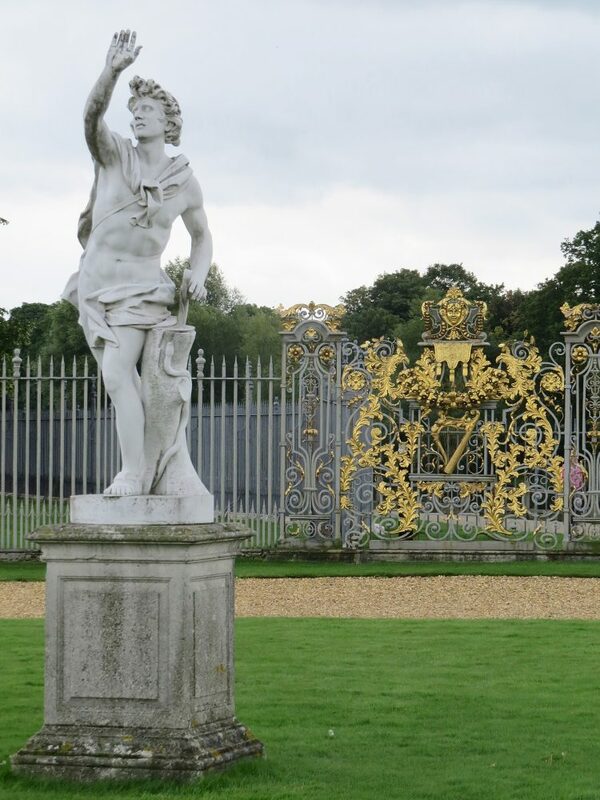 It was ‘the little gentleman in the black velvet waistcoat’ that led to the demise of William III and as a consequence the rapid decline of Hampton Court Palace’s great formal gardens. The little gentleman in question had pushed up a molehill in the path of William’s horse Sorrel, who stumbled and threw William breaking his collarbone. He never recovered from the resulting complications. 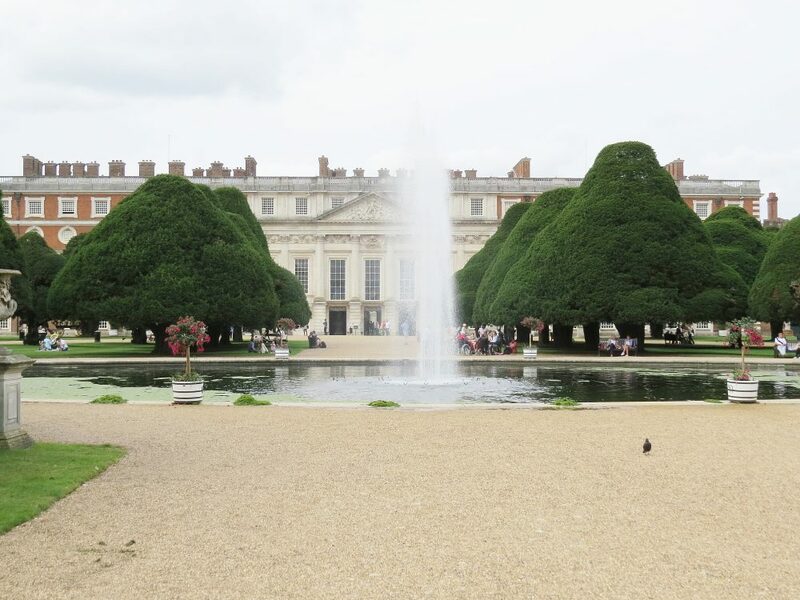 His sister-in-law Queen Anne who succeeded him refused to pay many of the bills of William’s extravagant newly-completed garden, halved the maintenance budget and swept away the Great Fountain Garden that overlooked Charles II’s vast Long Water. William’s garden, at a stroke, became a shadow of its former glory. The ‘Glorious Revolution’ of 1689 that had brought William III and Mary to the throne may have been a victory for Parliament over the divine right of kings, and for the Protestant faith over a return to Catholicism, but there was still a significant minority in the country who raised their glasses to ‘the king over the water’ hoping that William’s untimely death would lead to a Jacobite restoration. William’s life’s ambition had been to thwart the expansionist ambitions of Louis XIV and ensure the survival of the Calvinist Dutch Republic, to which he had been elected Stadtholder. Nevertheless, Louis’s stupendous palace and garden at Versailles was the measure of all things. As a powerful oligarch rather than a king William’s hunting lodge at Het Loo, designed by French Huguenot Daniel Marot, had a more modest and homely feel than the awe-inspiring formal gardens of Versailles. 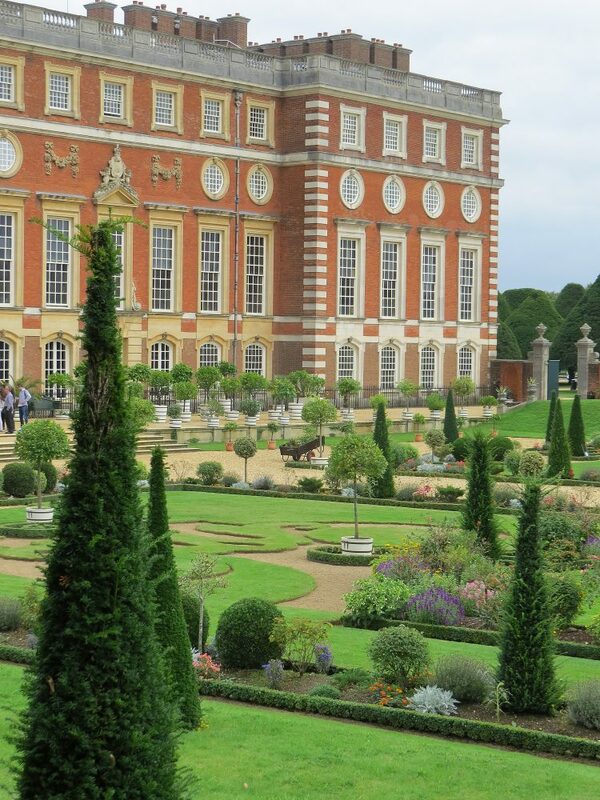 On assuming the crowns of England, Scotland and Ireland William needed a much more impressive palace to rival Versailles, and the site of the old-fashioned Tudor Hampton Court with its large Home Park for hunting seemed the ideal choice. However, the construction of Sir Christopher Wren’s new palace proved so expensive that only half was ever built. 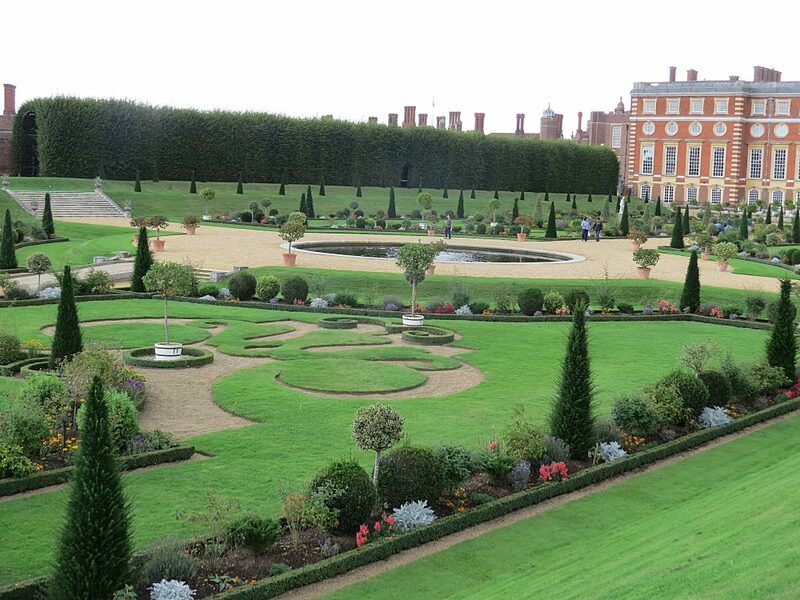 As early as 1689 William had asked Marot to design a great formal garden for Hampton Court in the latest style. The Tudor Privy Garden, with its brightly coloured heraldic beasts on posts and knot gardens had been swept away by Charles II, and replaced by four simple grass squares and a bowling green, and whilst William’s new palace was being constructed the royal family still used the Tudor Water Gallery. When this was finally demolished in 1700 and the Privy Garden extended to the walk alongside the River Thames, it became apparent that the river could not be seen from the state apartments on the first floor. William ordered Marot to demolish the now completed garden, lower the levels so the river could be seen, and remodel it. The work was completed just before his untimely death. 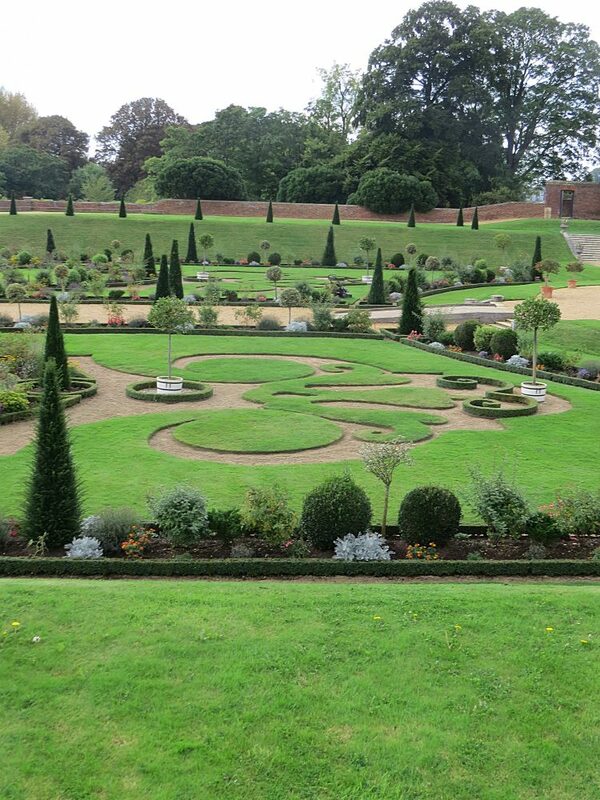 The restoration of William’s Privy Garden had to wait until the mid-1990s, when the garden archaeologists were able to uncover the formal arrangement of the beds and consult the original planting lists. 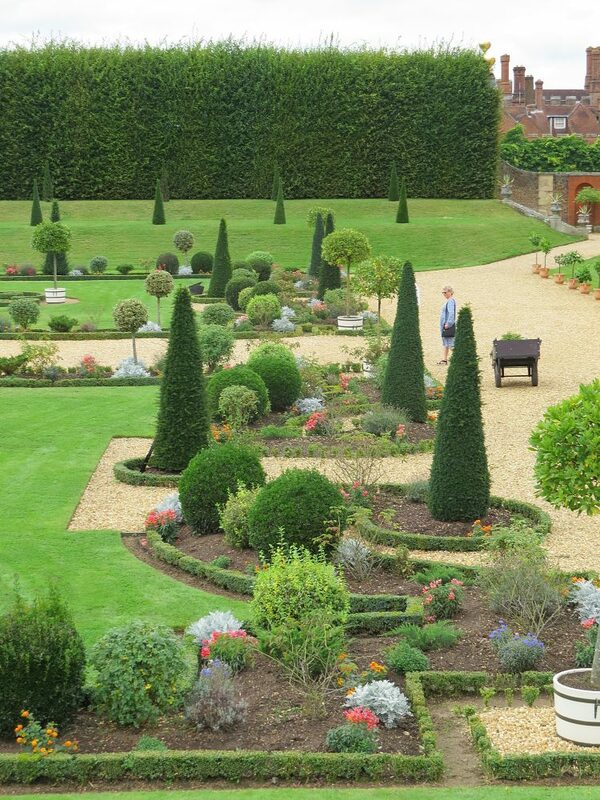 The garden layout had been created in the latest French style, with some Dutch features, and incorporating parterres ‘a l’Angloise’ (English style beds with intricate patterns cut into the turf). These were framed with ‘plates-bandes’ – narrow borders displaying topiary cones, bulbs and annuals (and to our eye a lot of bare earth). 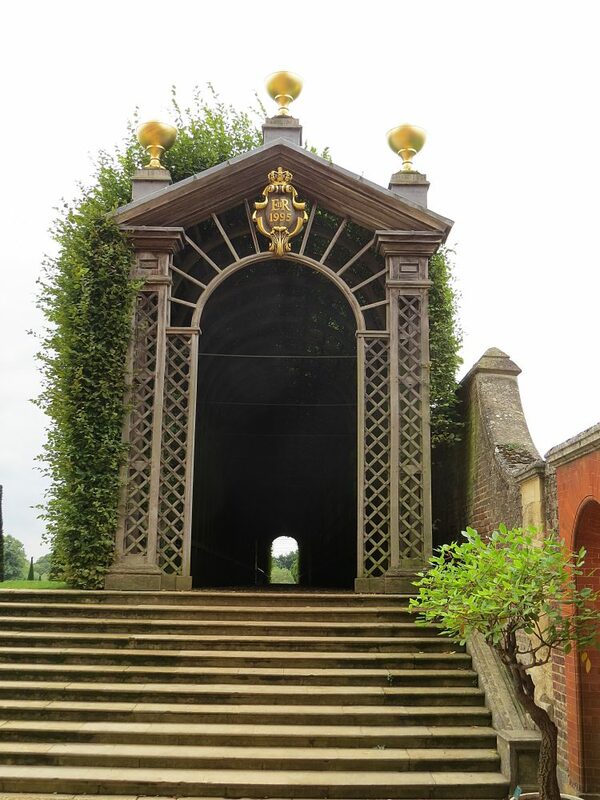 To both the east and west side of the garden were raised promenades to overview the garden; that on the west side being Queen Mary’s Bower a clipped hornbeam tunnel constructed of oak and with small viewing windows. Perhaps the most spectacular surviving feature of the original Privy Garden is the semi-circular wrought iron screen that allows views of the river, created by another Huguenot, Jean Tissot. The restored screen displays the symbols of William’s four kingdoms; the rose for England, thistle for Scotland, harp for Ireland and fleur-de-lys for territory in France, all picked out in gold leaf against a background of dull grey painted iron. The reconstructed Privy Garden is but half of the original design with just one modest central fountain, and this gives a false impression. Marot’s Bird’s Eye View of the Great Fountain Garden shows an amazing semi-circular garden of intricate parterres, enlivened by an inner ring of five circular fountains, and an outer ring of six large rectangular fountain ponds, all centred on the stupendous Long Water. 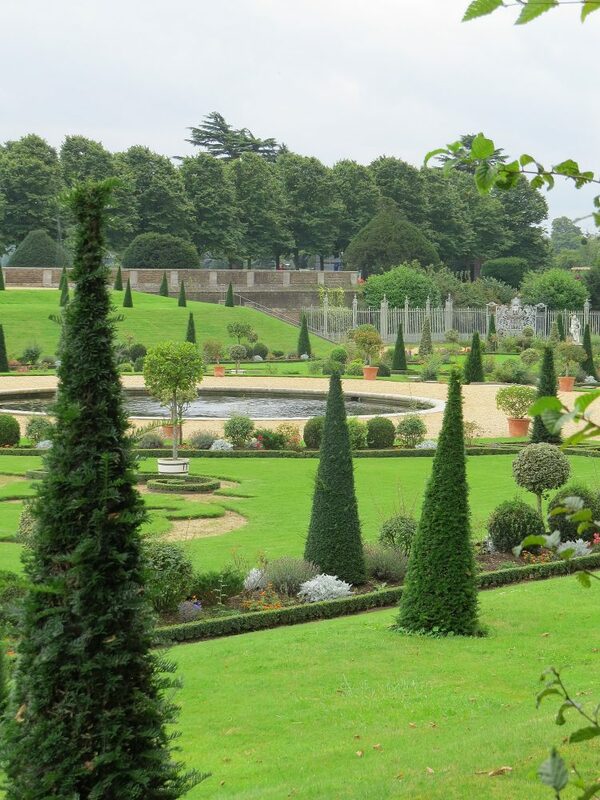 It wasn’t just parsimony that made Queen Anne sweep the Great Fountain Garden away, replacing it with grass and gravel; but payback time for her treatment by her sister Queen Mary who despised Anne’s friends, kept her short of money and had her exiled from court to Syon House. After Anne’s brief reign the British throne passed to the House of Hanover. By now the palace and gardens were dated and George I showed no interest in living there. George II’s wife Queen Caroline, a keen gardener, preferred to make her newly fashionable landscaped gardens at Kensington and Richmond, and with the accession of George III in 1760 royalty entirely abandoned the palace. It became a ‘grace and favour’ residence for retired and less-favoured courtiers whilst the extensive fruit and vegetable gardens continued to supply the royal household by river barge. 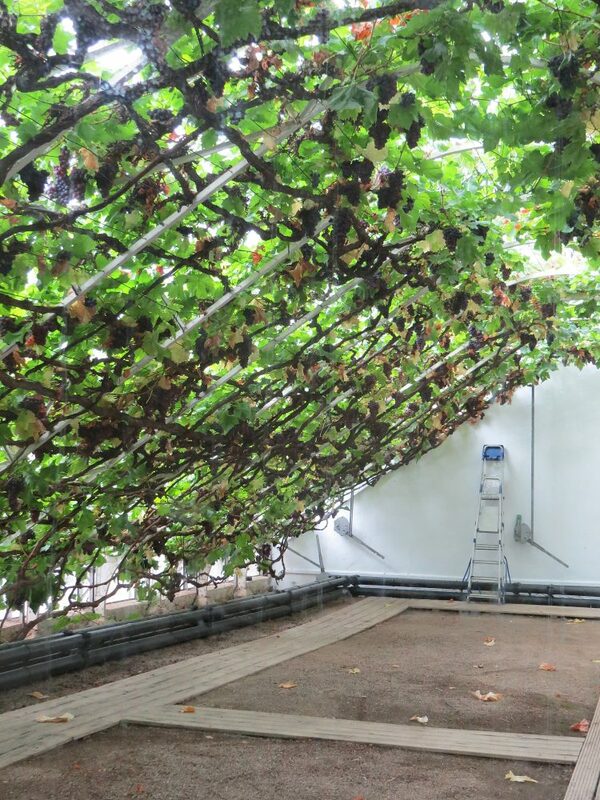 In 1768 George’s newly appointed Royal Gardener, Lancelot ‘Capability’ Brown, planted The Great Vine (reputedly the world’s largest) that still, each year, regularly produces 270 kg (600 lbs) of sweet dessert black Homburg grapes.